Did you recently have a snake dream? Well, dreaming of such is one of the most petrifying experience you will ever have in your life. The snake in your dream looks very real, and anything done by the serpent also looks real. But what does this creature in our dream signifies? Does it even have a meaning? 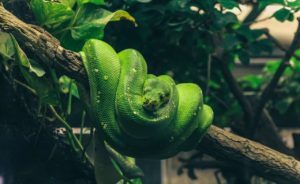 Well, today in this article I will talk about What does it mean when you dream about snakes. Generally, dreaming of such a creature is a sign of Deception, Satan, and fear in your waking life. But it can also have positive meanings like Transformation and Healing. I know that the above line is not enough to fully interpret your dream so let’s dive in a little more. The Interpretation of your dream depends on what you saw and how you reacted to it. All the little details in your dream matter a lot. Little things like the color, nature of the serpent matters a lot. 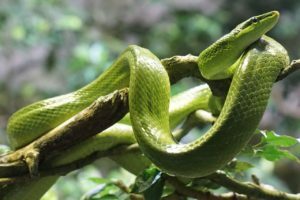 So a red color snake biting you in a dream will interpret differently from a yellow color snake bite. The interpretation can also vary from culture, tradition, and religion. For instance, in Christianity, a snake is considered as Satan(Evil) whereas in Hinduism a snake is worshipped and is considered a symbol of upcoming health and wealth. Therefore, the first thing we should do is to record every detail of our dream because every little aspect can completely change the interpretation of your dream. 1. Write it on a Paper. 2. Record it on your Phone. You can choose any option depending on what you think is the most convenient for you, but generally writing your dream on a paper is preferred for most people. Since they are terrified after the dream writing for them is much easier than recording the dream. After you record your dream, you have to compare it with various meanings and find out what it might mean. So here are some of the meanings of having a snake dream. When you see a serpent, it provokes a feeling of fear which is a sign that it may symbolize fear in your waking life. You fear something or someone in your waking life and are negative over a threatening situation in your waking life. For instance, you may have a fear of not getting a new job. 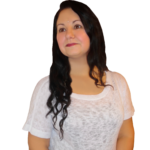 This dream is a sign that your fear will not solve your problem and you have to stop being negative to overcome the threatening situation in your life. 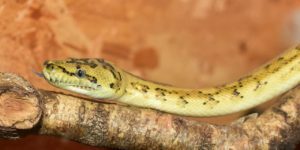 Seeing this cold-blooded reptile can also symbolize that someone in your waking life is going to trick you into something or will try to deceive you. Maybe your business partner tries to trick you into signing a contract for personal gain. This dream is a warning that you have to be very careful about who you trust and take every action thoughtfully. According to Sigmund Freud, the founder of Psychoanalysis Getting a snake dream is a Phallic Symbol, i.e., it symbolizes your sexual desires. 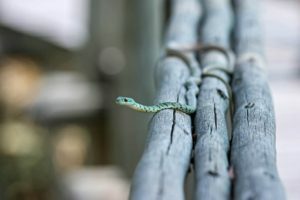 If you have weird dreams like being sexual with the snake or something like that, then it represents that you have an abundance of sexual energy stored in you. It can also be a sign that your desires are getting out of control. A serpent has the ability to shed its skin and leave the past behind to start a new beginning. So dreaming of such a creature can be a sign that you are healing from something, maybe your disease. It can also mean that you are transforming spiritually. If you kill a snake then generally it is a sign that you will overpower your enemies and all the upcoming threats. But the interpretation can vary for different religions, cultures, and traditions. For example in Hinduism killing a snake is a bad sign. A bed is your private place where you rest and work, and if you see this creature on your bed, then it can mean only two things. You need Rest – It can be a sign that you are consistently working for a long time and are not giving proper rest to your body, so this dream is a symbol that you should give your body the rest it needs. Your sexual desires are getting out of control – This dream can also be a sign that your sexual desires are getting out of control, and you need to control your emotions to go ahead in your life.